Today in the Decluttering Sentimental Items series I'm sharing tips to help you declutter your vacation souvenirs. Up until now I've shared general strategies and tips for decluttering sentimental items, but as of today we'll be talking about a different type of sentimental clutter each day... starting with your vacation souvenirs! These can be any objects you or someone in your family kept to remind you of your trip. They could include trinkets, keychains, postcards, magnets, brochures, pamphlets, plane tickets, hotel keys, etc. Vacations are special times, away from everyday life. They are filled with special memories of time spent with those we love. Our souvenirs remind us of the places we visited and the activities we did while we were on vacation. But sometimes we keep too many souvenirs and they become clutter in our homes. Go through your vacation items and see what you really love and that reminds you most of your trip. Keep those things and let go of the rest. If you travel a lot, you may want to choose one specific type of item to save from each trip and display that collection somewhere in your home (something small works best for this). Then give yourself permission to let go of all your other vacation souvenirs. Let go of old souvenirs if you no longer remember why they were important (or those from other people if you weren't with them on the trip). If you no longer want to keep some items, ask if someone else who was on the trip with you would like them. Consider who you are keeping the souvenirs for. Is it for yourself or your kids or to share with others? I think when we go on trips we always think everyone around us will be just as excited to hear our vacation stories as we are telling them. But in reality, most people don't care that much since they weren't there. Once we share our initial stories upon our return, we can let go of a lot of things we brought back with us. Keep only the items that really help you to remember your trip. My family traveled a lot when I was growing up, including living for a year in France. I collected a doll from every country in the native costume. I've decided to let most go. I'll save a few special porcelain ones, and give a couple non-breakable ones to my daughter to play with. I realized I'd never display them, so let others enjoy them, too. I've switched to collecting teacups (which I use and display) or something that country is known for. And only if I can afford it and have space/use for it (e.g. a handmade basket from Bahamas, lace from Belgium, something wool from Ireland). I try to get useful souvenirs . I grew up collecting decorative or non useful things so it took a while to see how this would be better. The only way I indulge is my spoon collection. It's hard to find spoons now but they are small, relatively cheap and I can look at a tiny spoon and remember a whole trip with experiences. Set aside a vacation memories box or bin to keep everything in, so they're not all over your home and you can easily find them when you want to look through them. But only keep what fits in that container. 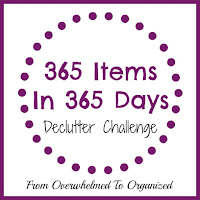 When it's full, you have to declutter enough to make space for new items. And keep it somewhere where you can easily access it so you can look through it from time to time and enjoy those memories of your vacation. If you went on a very special trip, you could create a scrapbook (digital or physical) with your souvenirs. If you have old postcards you can send them to people with notes like "places I'd love to go", "places I'd love to go back to", or "isn't this pretty". Or even send them to people you traveled with, saying something like "remember when we went here?" People enjoy getting snail mail and knowing you're thinking of them. And it helps you declutter your vacation postcards. If you create a vacation scrapbook, make sure you include photos, tickets and particularly the written memories of the trip. You can even take pictures of some souvenirs to put in the scrapbook and then let go of the physical items. Buy consumable souvenirs. You'll enjoy remembering the trip while you consume them and you won't have clutter afterwards. You can even take a picture of the consumable item or of you consuming it and include that with the photos of your trip. Buy useful souvenirs. They won't become clutter if they are things you can use. Examples of consumable souvenirs are: coffee beans, alcohol, vanilla extract, candy or chocolate. T-shirts, hats, jewelry, or accessories are examples of useful souvenirs. Anything that is made where you traveled allows you to share about the culture and support the local economy. Our family went on a cruise last spring and my kids were given money from their grandparents to buy some souvenirs of the trip. As they shopped, they thought about what they would like, but also how they could display or use the items once we returned home. My son mainly bought t-shirts and postcards. He wears the t-shirts all the time. And the post cards are going on a bulletin board in his room when we finish re-doing his room. My daughter mainly collected magnets and charms for her charm bracelet. The magnets are displayed on a white board in her room and she wears the charm bracelet from time to time. 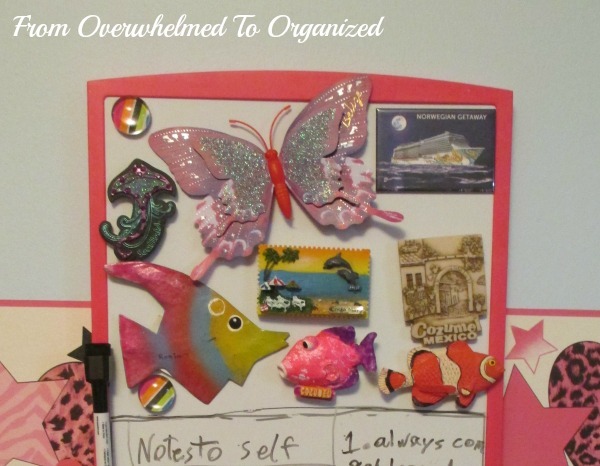 Both kids are able to remember the trip without a lot of clutter. Do you have vacation souvenirs you've been holding on to? 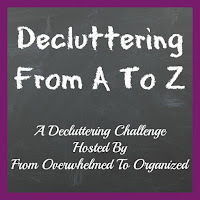 Are they treasures or clutter? What makes it hard for you to let go of souvenirs? Is there a way you can use, display, or re-purpose your souvenirs? 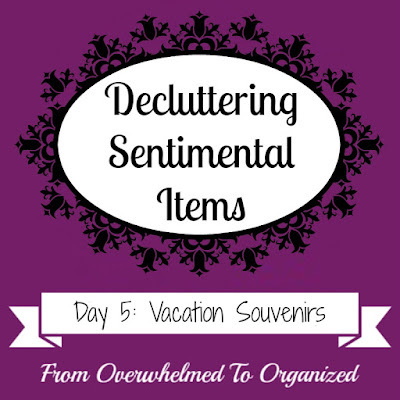 As you declutter your vacation souvenirs, take pictures and share them on social media using the hashtag #declutteringsentimentalitems so you can inspire all of us to declutter our sentimental items! If you decluttered your vacation souvenirs, what tips can you share for those who are having trouble letting go of them? If you decided to keep a few treasures, how are you using them? If you've got a picture of how you displayed your vacation souvenirs, please share it in the comments or on one of the series' social media posts. I'd love to see how you are giving honour and respect to your sentimental items! I limit myself to a magnet for each vacation locale. I try to convince my family to spend their money on vacation experiences rather than souvenirs, and I am mostly successful. Great tip about spending money on experiences instead of souvenirs! They will remember a unique experience from a vacation without the need for a physical item. Sentimental items be them vacation acquisitions, family memorabilia, letters, clothing or more can be hard to let go of because of the additional emotional attachments that we have. 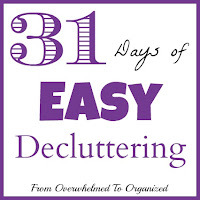 Your strategy of addressing the non-emotional clutter first makes a lot of sense. By practicing and exercising that letting go muscle in the easier areas first, it will build stamina and momentum for the more challenging, emotional areas. You've given a lot of great strategies for going through the decision-making process.